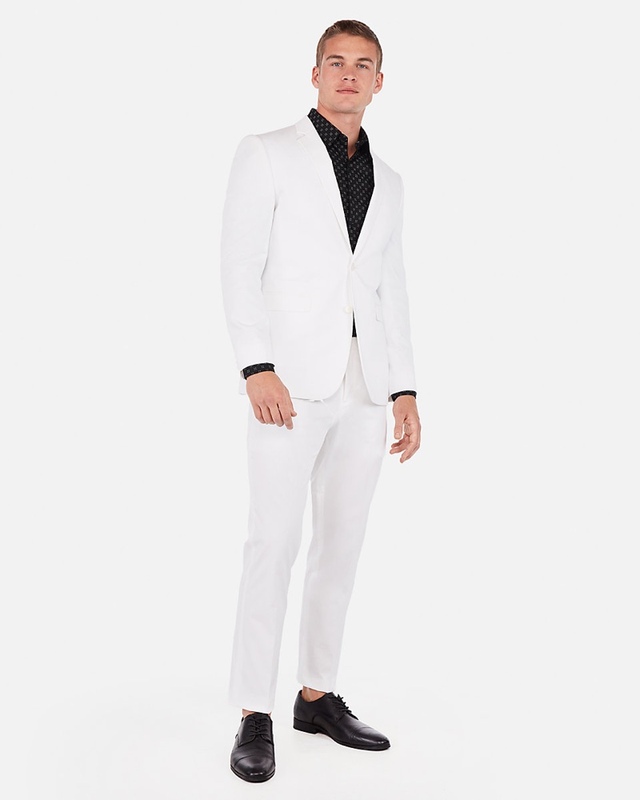 Whether going to a white party or just looking for a statement, all white outfits for men have been trending for the past few years. 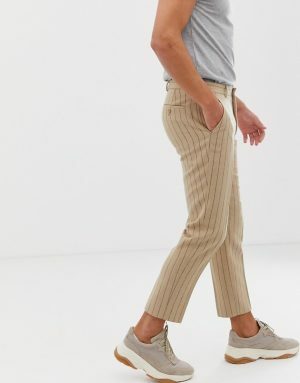 While these cream-colored looks may be daring, there's no need to fear after you read our style guide. From relaxed pant suits to casual denim and tailored coats, we'll show you how to rock the all-white look no matter the season. Just remember to stick to your normal style, but put it in a white color palette. So if you're a hypebeast, keep it casual in street style. More business orientated? Suit up in a cream blazer and tailored pants. 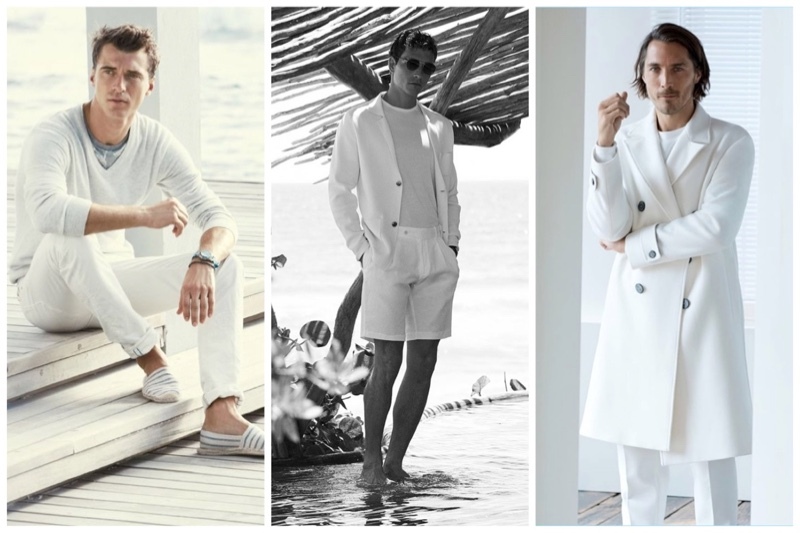 Check out seven ways to wear all white outfits for men below! Photo: Calvin Klein Jeans' spring-summer 2017 campaign. Denim is the go-to fabric when it comes to a casual outfit. And if you want to take the all-white look to the next level, wearing a denim jacket, white tee and matching pants can make you pop. Get ready to impress on Instagram with a fresh denim on denim look. This outfit is easy to achieve with some pieces already in your closet or buy some fresh styles. 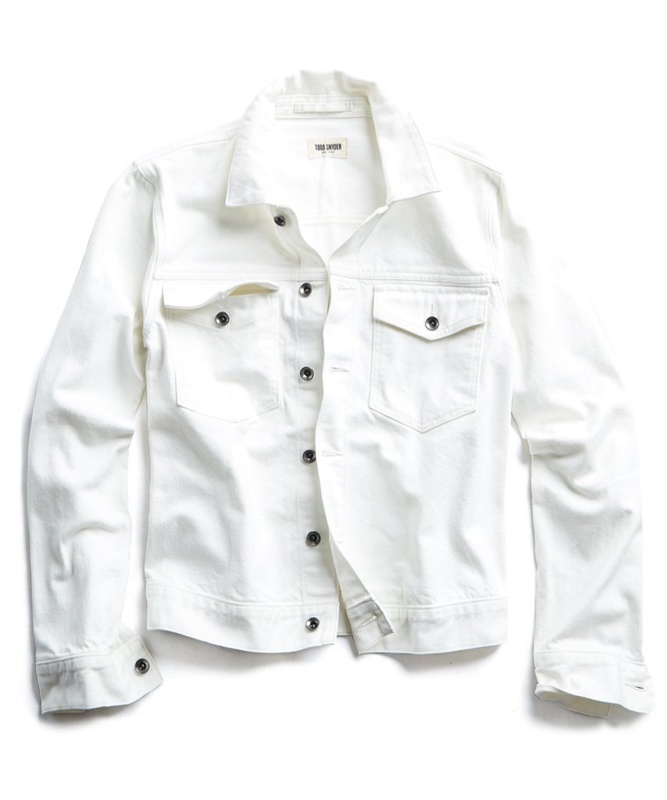 Keep it fresh in a white denim jacket made from Japanese selvedge denim. Made with a slim fit, these jeans come with 5 pockets. 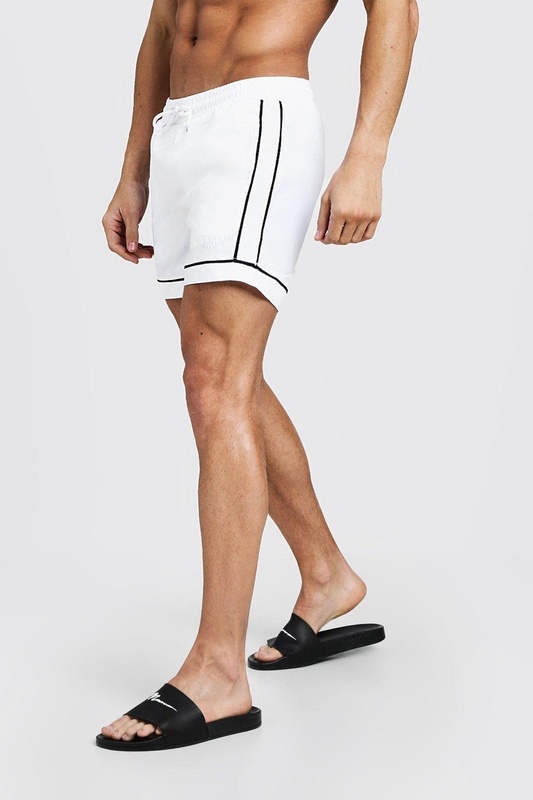 David Gandy is pictured in David Gandy for Autograph Tailored Fit Mid Length Quick Dry Swim Shorts from Marks & Spencer. When it comes to swim season, you may see a lot of prints and patterns, but keep it minimal in white trunks. Wear with a button-up shirt for an easy way to change when you have to leave the pool party. There won't be many men wearing white trunks, so you'll definitely stand out in a sea of prints. Make sure to wear with your slides for a beach-ready look. Look fresh and clean in these white swim trunks in a short length. Made with contrast piping, keep it minimal in white trunks. Cameron Dallas stars in Calvin Klein Jeans' summer 2016 campaign. If you want to bring a street wear twist to all white outfits for men, look no further than the humble hoodie and shorts look. It's a great way to look casual but not look sloppy. The white on white look brings sense of purpose to an otherwise thrown together outfit. Pair with slide sandals or espadrilles for an easy look. Keep it casual in a white sweatshirt sporting the CK logo. 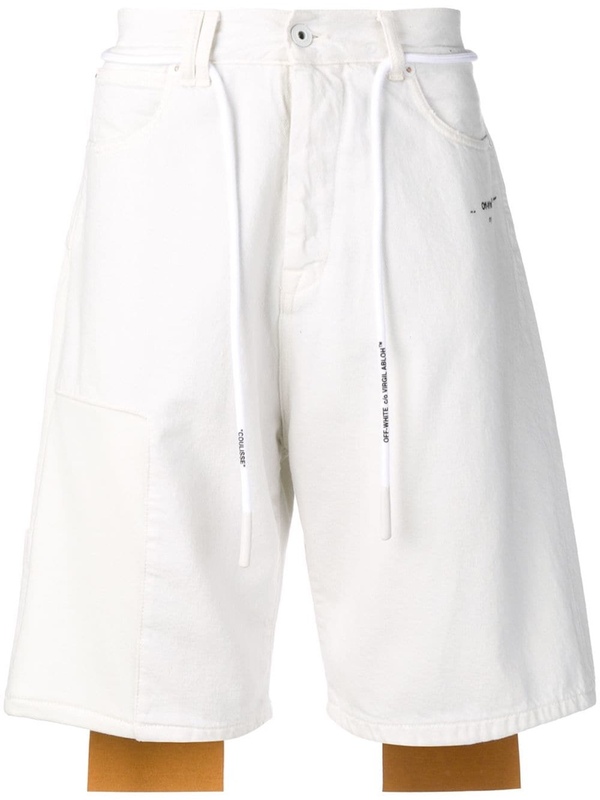 Made in Italy, these shorts come with Off-White’s signature quirks. 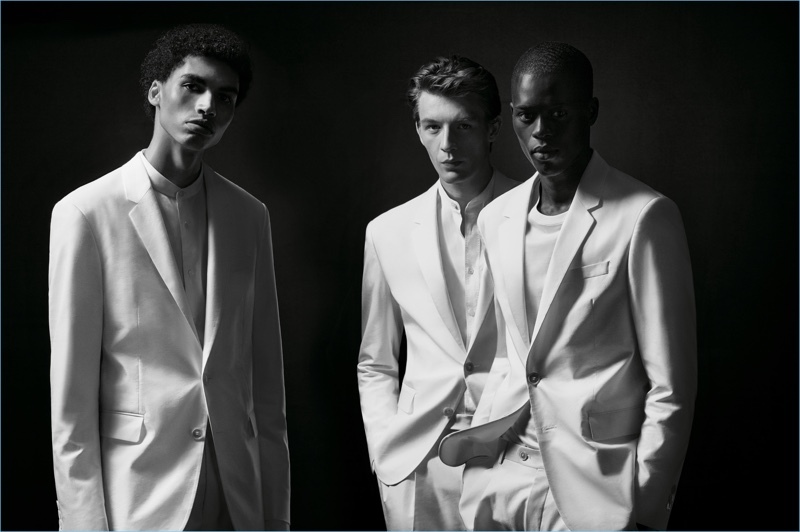 Models Sol Goss, Finnlay Davis, and Alpha Dia don white suits from BOSS capsule collection. Invited to a white party? A relaxed suit is definitely the way to go. Ditch the tie, because who needs a tie when you look so fresh? 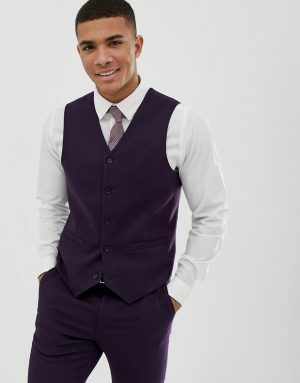 Instead, pair a suit jacket and trousers with a casual tee or button-up shirt. For shoes, sneakers or loafers finish the ensemble. 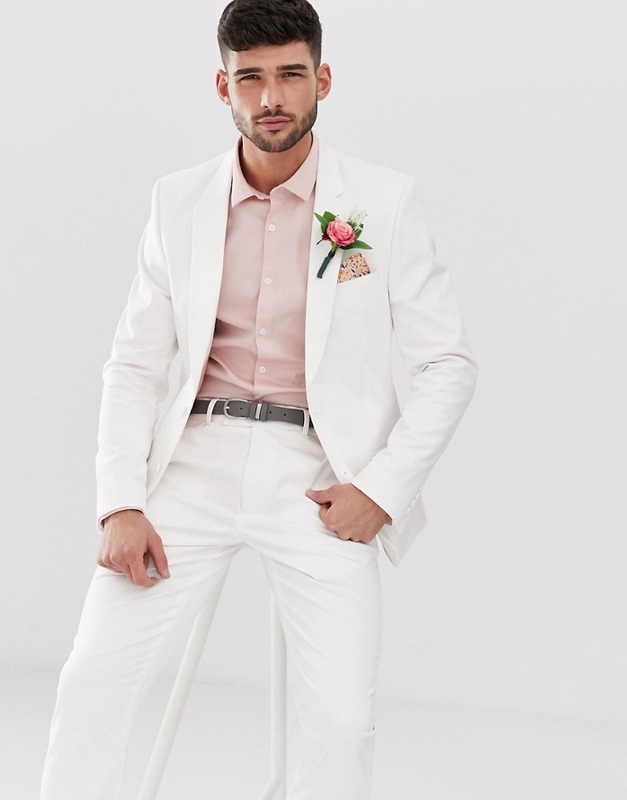 Suit up in all white for a dapper look perfect for a special occasion. 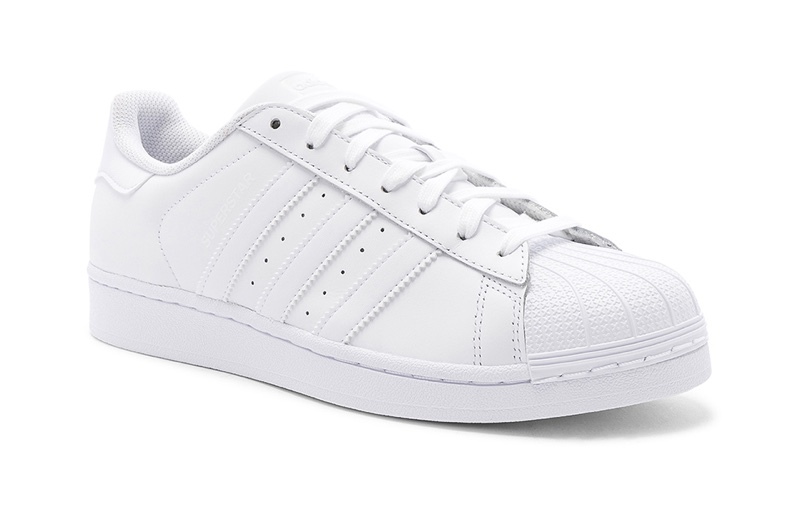 The adidas sneaker is always a classic, and goes with just about any outfit. 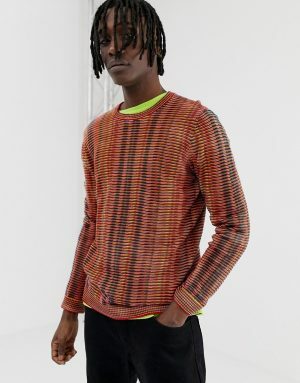 Sporting winter white, Guillaume Macé appears in an editorial for Zara. Who says that white outfits are only for the spring-summer season? You can take on the look with a winter coat, sweater and pants. Whether going out in the snow or facing a rainy day, there's no reason to be afraid of wearing white on white in the cold months. 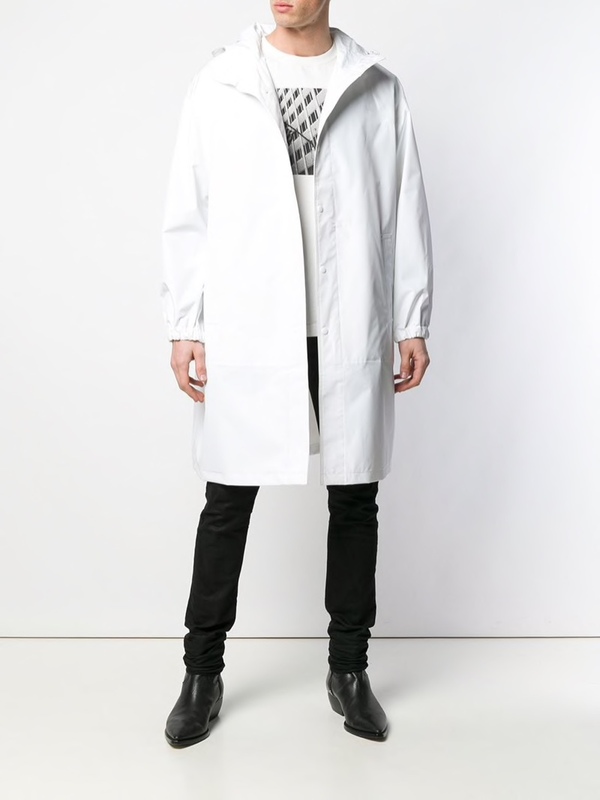 Cover up in style with a white coat that's quite the statement. 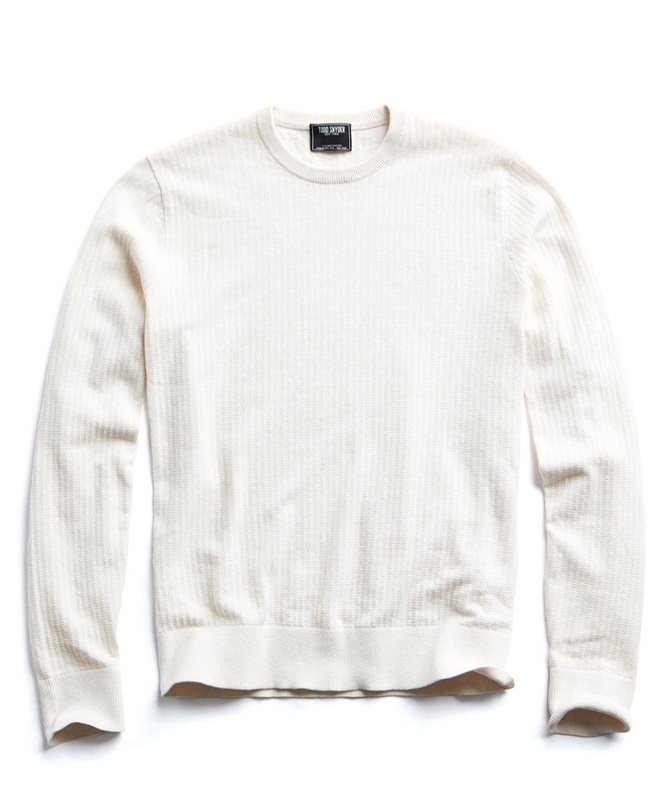 Made from merino wool, this sweater also features waffle textured details. Clement Chabernaud Summer whites from J. Crew. 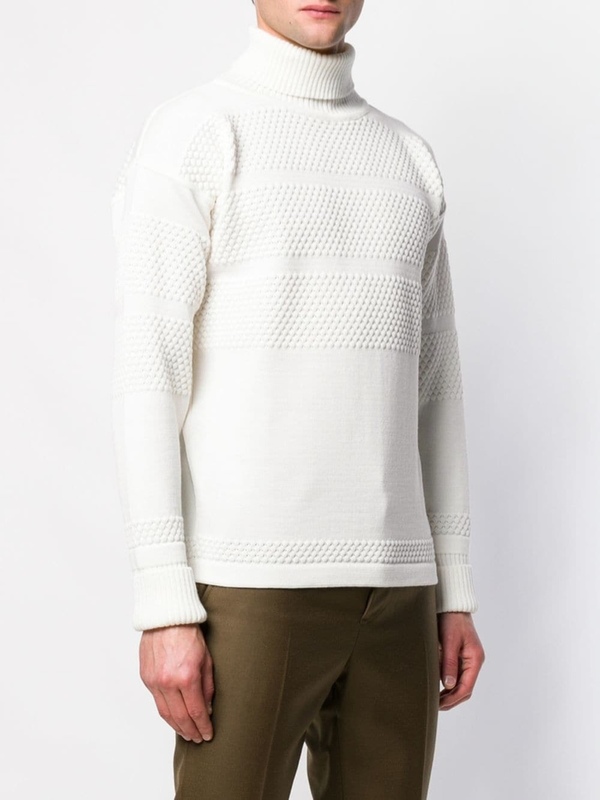 When it comes to getting the ideal all-white look for a sunny day, a lightweight sweater and pants makes the perfect combination. Whether going out to lunch or a garden party, this outfit will definitely earn you complements. Add some color with your shoes or under shirt. 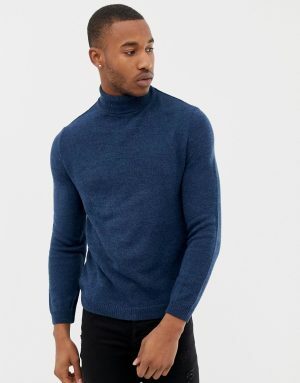 This lightweight sweater is slim fit and made from 100% cotton. 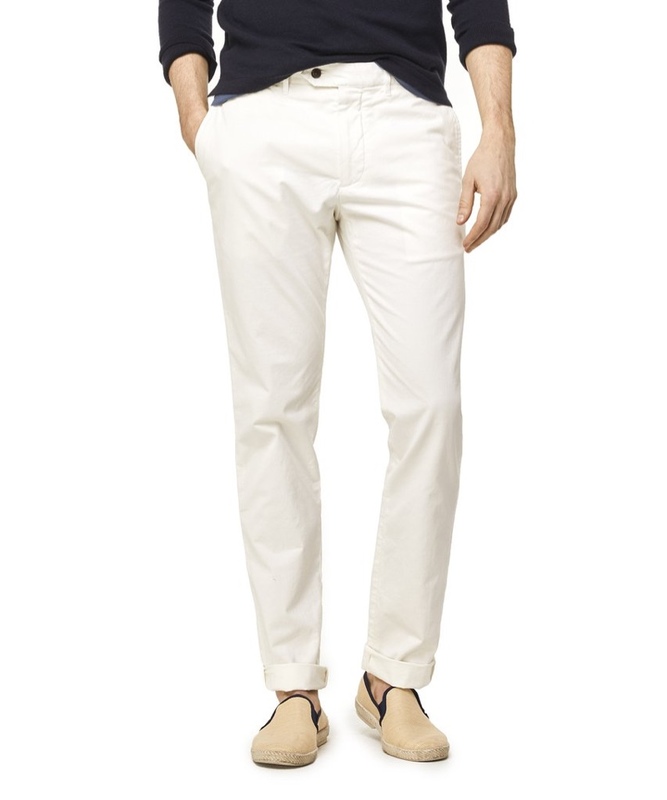 A tailored chino pant is a must-have for your closet. Alexandre Cunha wears white short suit from Massimo Dutti. Going to a special event during the summer? Don't be afraid to try the short suit in all white. 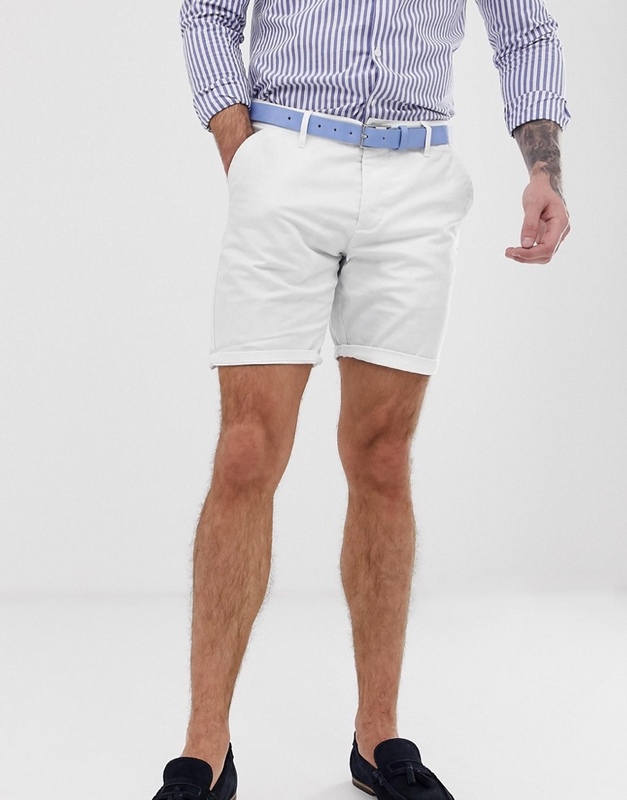 You can look for a set, or make it your own with a white blazer, dress shorts and white tee. It's the perfect way to balance casual and formal for those sunny days. Keep it casual in chino shorts made in classic white. A slim fit makes this jacket perfect for wearing with relaxed trousers.